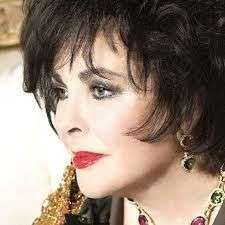 Elizabeth Taylor sadly passed away this week at the age of 79. With her 8 marriages to 7 husbands and 2 Academy awards, Liz knew how to love and she loved well. Liz spent the last 15 years of her life as an unmarried woman who embraced social media and spent time online on Twitter and Facebook. She regularly tweeted with passion and her love of her friends, humanitarian efforts and jewelry were a big part of her life. Thousands visited her star on Hollywood Boulevard with flowers and prayers. Worldwide, social media enthusiasts viewed her videos on YouTube and left messages on the Elizabeth Taylor Tribute Page on Facebook. I stared with sorrow at her Twitter page @DameElizabeth, where she sent her last tweet on February 9, 2011 with enthusiasm about her excitement on her Harpar?s Bazaar magazine interview with Kim Kardashian. Taylor was a regular tweeter and enjoyed staying in touch with her fans through social media. On Thursday she was laid to rest in a private ceremony at Forest Hills Memorial Park, the same resting place as her close friend, Michael Jackson. Although she suffered through a myriad of health related problems, Elizabeth Taylor represented class, style, and will forever remain on a pedestal that she so very much deserves. Elizabeth Taylor deserved an award for having faith in the institution of marriage, casting a wide net with a variety of seven husbands. She followed her heart when she divorced Richard Burton, only to remarry him again a year later. Dame Elizabeth Taylor was all heart. She loved her friends dearly and devoted her time and resources to AIDS, at a time that most others looked the other way. I recall seeing Liz just two years ago at the Macy?s Passport event in Santa Monica, CA supporting AIDS research. Looking frail as she arrived in a wheel chair, she stood up and spoke to the crowd, she showed up and once again she gave her heart. Unrecognizable as the woman who starred in Cleopatra, she chose to stay in the public eye to help others rather than hide from the years of wear-and-tear. Taylor received a special Academy humanitarian award for her work with AIDS research. Love Lesson: 18 years old is too young to know what you want in a marriage. Love Lesson: Long-term marriage for Liz resulting in 2 children. Love Lesson: The death of a loved one revered him as one of the true loves of her life and produced a beautiful daughter, Liza Todd. Love Lesson: The only way to get over mourning a death of a spouse is to fall in love again. Love Lesson: A true love with a bond so strong that the year apart was unbearable. When in doubt, it’s worth a second shot. The two adopted a daughter. Love Lesson: Being a politician?s wife was worth trying out, but not for her in the end. Love Lesson: A Hollywood icon can open her arms to a high school drop out and still lend a hand many years later after their divorce. Hollywood has lost many legends, but there were none like Elizabeth Taylor, who loved like no other. How ironic that this woman filled with heart, died of heart failure. May her star continue to shine brightly and may she rest in peace.